For the puff pastry: I didn't have any store-bought pastry in my freezer, so I made my own. 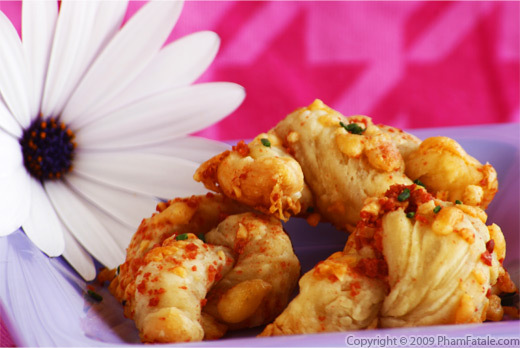 Create several rectangles of puff pastry dough. The size doesn't really matter. Finely mince both shallots. Reserve one raw and caramelize the other one. Heat the olive oil in a small pan. Sauté the shallots with the red chili flakes (if used) in the oil over low heat for about 10 minutes, stirring frequently to prevent the shallots from burning, until the color is evenly golden brown and the shallots are tender. Add the sun-dried tomatoes. Season with salt. Turn off the heat. Transfer to a platter. How to make Dubliner cheese powder: Make sure the cheese is chilled. 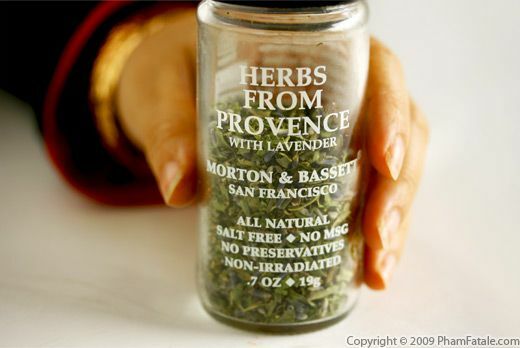 I place it in the coldest compartment of the refrigerator (or freezer) to harden it. Place the shredded Dubliner cheese in a mini-food processor until it's a fine powder. Set aside. How to make sun-dried tomato pesto: In a mini-food processor or mini-blender, combine the sun-dried tomato, caramelized shallots, herbes de Provence, raw shallots, tomato paste, garlic, chopped cashew nuts, and Dubliner cheese. Pulse, add the red wine vinegar and slowly add about 1/3 cup (or more) of olive oil until it becomes a thick paste. Season with salt and pepper. Spreading the pesto: For each rectangle of puff pastry, roll the dough out so that it increases in size a bit, but most important, it becomes more pliable. Spread a layer of sun-dried tomato pesto. The layer should be very thin so it doesn't burst on the side when rolled. Creating palmiers (folding technique): Roll both sides so that they meet in the middle. Repeat for the rest of the puff pastry rectangles. At this point, you can wrap them in plastic wrap and chill the dough in the refrigerator (see tips) or freezer or slice and bake them right away. Baking time: Roll the logs of puff pastry onto their sides before slicing (you don't want flat heart-shaped appetizers). Slice the logs into about ⅓-inch thick pieces. Place the palmiers on a baking sheet previously lined with parchment paper. Make sure they're spaced out so they don't touch each other when they expand. Bake in 3 batches for 8 minutes at 425°F. 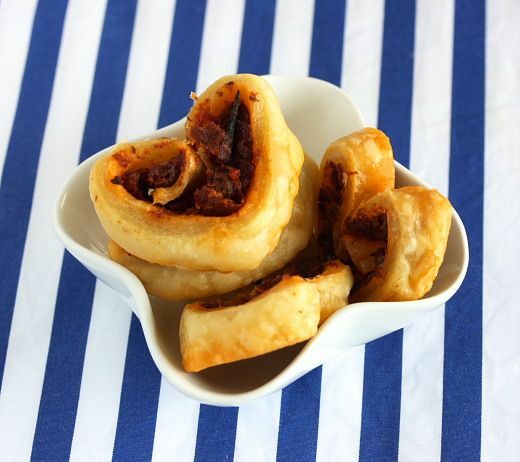 Open the oven and flip each palmier. Lower the heat to 400°F and bake for another 4-5 minutes. Using a spatula, transfer to a cooling rack and allow to cool a little before serving. These savory appetizers are easy to make and you can freeze logs of the already-pesto spread puff pastry in advance for quick baking when you're in a hurry. It's not necessary to open up the palmier pastry as the heart-shaped pastry will naturally expand as it bakes in the oven. Little reminder on how to roast nuts: To release all the flavor and oil of the nuts, I like to roast them in the oven for about 10 minutes at 325°F before using them. The only nuts that I dry roast on the stove are pine nuts. 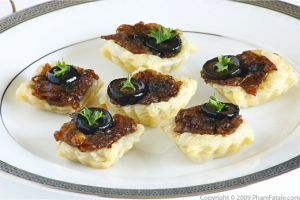 They are smaller, cook more quickly and are much easier to watch and manipulate on the stove top. Some people lightly brush an egg wash over the pastries, but I don't think it's necessary. You can also brush melted butter if you like. If you don't have shallots, you could caramelize onions instead. Frying shallots is pretty easy but time consuming. I also often have fried onions on hand in the freezer. So make them in advance and fry shallots in large batches to save time. 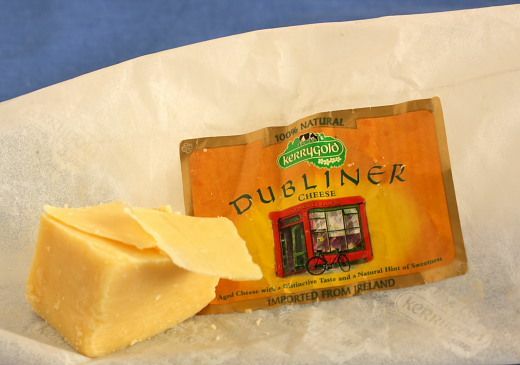 I bought Dubliner cheese at Costco this week. The whole family is crazy about this cheese. It has a nutty flavor with a mild fruitiness. If you don't find it, you can replace it with another aged cheese such as Parmesan. Published By: Jacqueline Pham on January 28, 2010. This looks delicious... the cashews are a nice touch! Oh yes! That looks delicious! I think I will make this recipe for a picnic I am going to on Monday evening! yum!